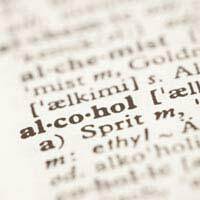 The Alcohol Education and Research Council (AERC) has two aims. The first is to create and spread research-based evidence that can inform policymakers and those who work in alcohol-related fields. The second is to encourage people and organisations to discuss and resolve alcohol issues. As part of its activities, AERC funds four types of grant. These are small grants, development grants, research grants and studentship grants. AERC’s small grants scheme funds projects up to £5,000. There are no deadlines for applications. AERC processes small grant applications throughout the year. AERC wants applicants to propose projects that demonstrate innovation and evaluation. Successful projects tend to be evidence-based and may include demonstrations or pilot research studies. AERC is interested in awarding development grants for projects that fall outside central and local government responsibilities. Projects must aim to develop people and organisations. They can do this by influencing change; evaluating what works; encouraging cultural change; and improving the alcohol-related habits of people who work in the alcohol industry. Applicants can apply for grants from £5,000 to £50,000. AERC research grants are usually in the region of £50,000. Applicants can propose more expensive projects but the outcomes have to be good value. A research grant project should ideally have partnership working and funding with local organisations. In this way, the scope of the project can be as large as possible. An application for a research grant must also show how the project will increase the evidence base related to alcohol, and how it will develop people. This last element is important. AERC wants to improve research and practitioner skills. The project must therefore enhance these skills in a positive and measurable way. Furthermore, the evidence base of the research must have an appropriate methodology. Research must be clear and thorough. AERC’s studentship grants are for a course that leads to professional qualifications. The grant is a payment of £1,200 towards the course fees. The course must relate to research into alcohol. Applicants must also bear in mind that AERC wants to raise the standard of service for those people who have drinking problems. An application for a studentship grant should reflect this aim. Applicants must have an acceptance or provisional acceptance for a taught course. This should be at university standard. The intended qualification should be a diploma or something similar in studies related to alcohol. Applicants should also be in paid work for a voluntary agency that deals with alcohol issues. Applicants who are volunteer workers in the alcohol field must have an offer of paid work once they complete the course and gain a qualification.